Last month, I was finally able to cross out an item from my bucket list. Shooting an arrow ala Katniss Everdeen? CHECK! Yep, I finally got to hold an actual bow and arrow and shoot a target at the Kodanda Archery Range last month. 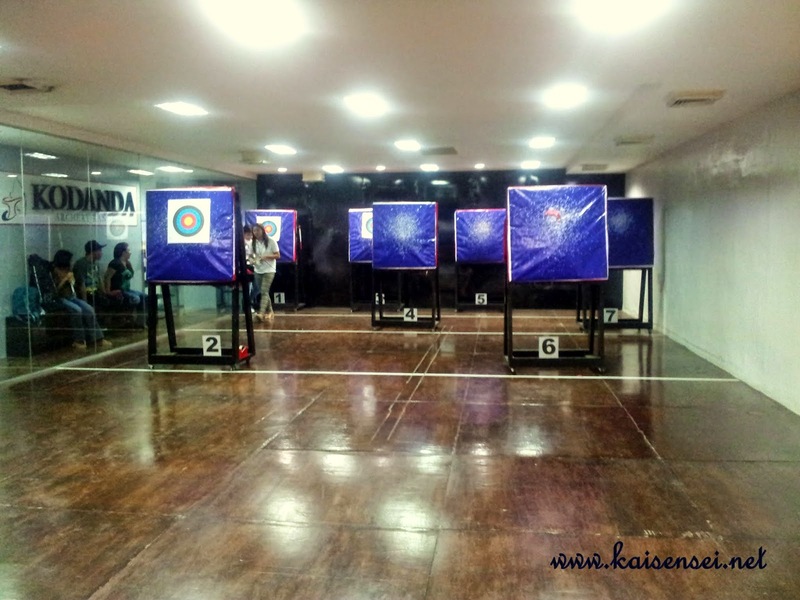 Kodanda Archery Range is a seven-lane, fully air-conditioned indoor archery range located on the upper basement of Makati Cinema Square along Chino Roces Avenue (formerly Pasong Tamo) in Makati City. 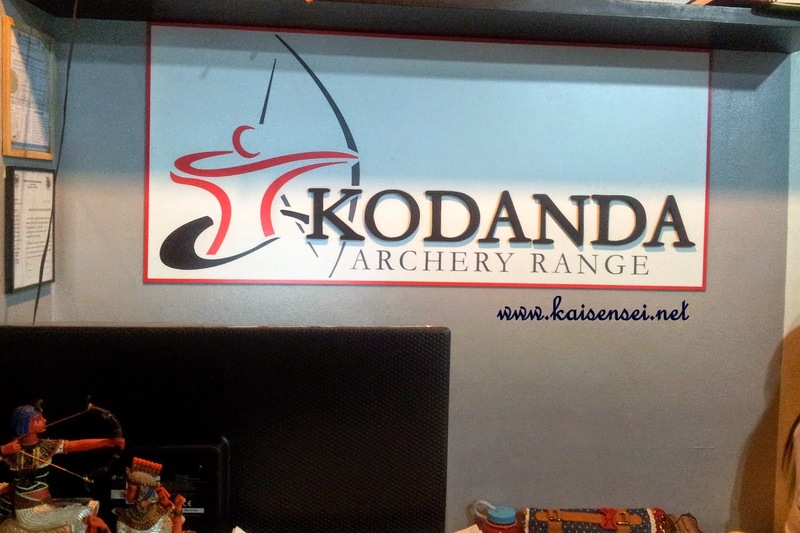 Opened July 5 of 2013, Kodanda Archery Range was founded to provide an avenue for people who are interested to try out archery, without having to spend a small fortune. It is open to all interested individuals with the minimum age being seven years old. The name Kodanda is Sanskrit for “he who has a bow.” It is also the name of the great bow and constant companion of Rama as he overcomes evil in the Hindu epic Ramayana (Mahabharata being the other epic). That's really good news for us mere mortals. We can now actually afford to casually say to a friend, "Hey wanna shoot some arrows?" Lol. Actually, I've been really curious about this sport since I was a kid (for some reason the childhood game cowboys & indians or the pinoy version of it -- indian pana.. may chant pa nga yun diba?). Then I became a bookworm and read all sorts of fantasy like books as a kid that had a lot of stories with people shooting arrows (Narnia Series!). I remember wondering how come archery wasn't part of P.E. 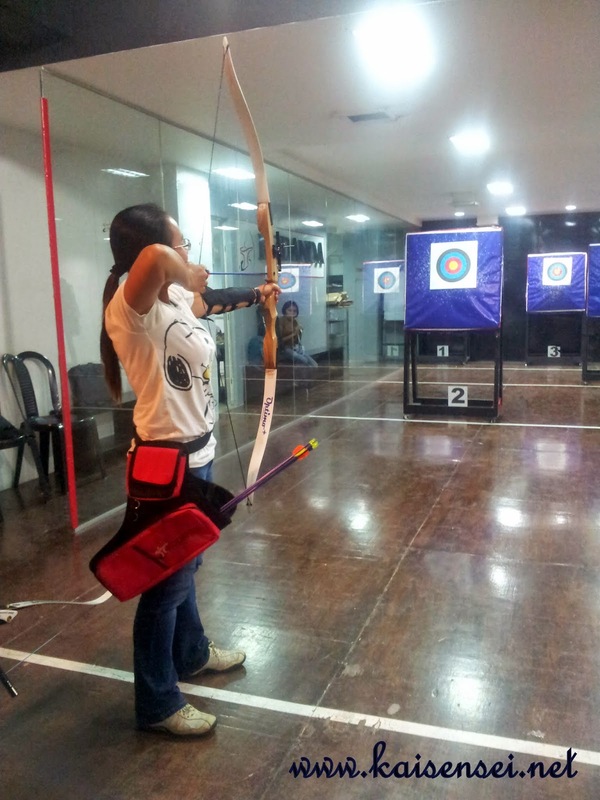 here in the Philippines coz in all the books I read, they had Archery as PE even during their middle school years. (Haha. Sorry naman.. bookworm nga eh..) I only later found out that yes, there is archery in the Philippines but not in all schools nga lang. Actually, sa UP I know they had it as a PE but I never got to sign up for it. So having an accessible archery range is awesome especially if you are aspiring to get into this sport. Archery continues to be a sport taught in colleges in the country. At the recent 2012 London Olympics, two of the eleven-member Philippine contingent, Mark Javier and Rachel Anne Cabral, are proud archers. 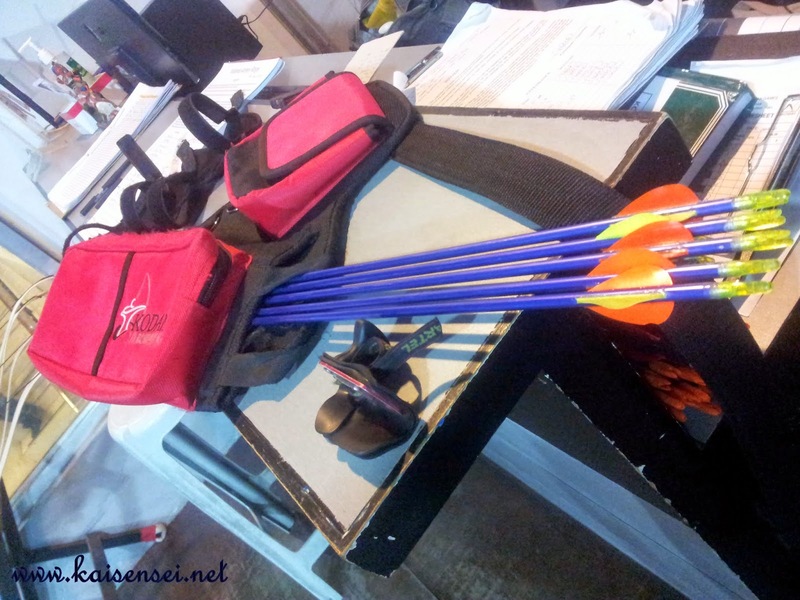 Syd Fraginal, a former Philippine National Team archer who was once a record-holder in the Southeast Asian (SEA) Games, continues to cultivate his passion for the sport as a full-time coach at Kodanda Archery Range. Although there is not a lot of walking or running involved, archery is still a physically demanding and rewarding sport. Drawing the bowstring places stress on one’s arms, chest, shoulders, and back, developing upper body and arm strength with repetition. Constant practice also helps improve posture, balance, and hand-eye coordination. The exercise of targeting helps develop focus, patience and allows the individual to center and calm him/herself, which can, in the long run, have a positive impact on one’s mental health and well-being. Despite the apparent individualistic nature of archery, it can be a social activity where families, friends, and co-workers can take up the sport as a group, and through the shared experience of learning something new that personal bonds are solidified. In all honesty, I'm not a sporty person (yes seriously, do I even have to share that little fact?). But this sport is totally TOTALLY doable. And not only that, hello, you get to feel what Legolass and Katniss felt. I felt giddy, competitive (hala may ganun! haha. 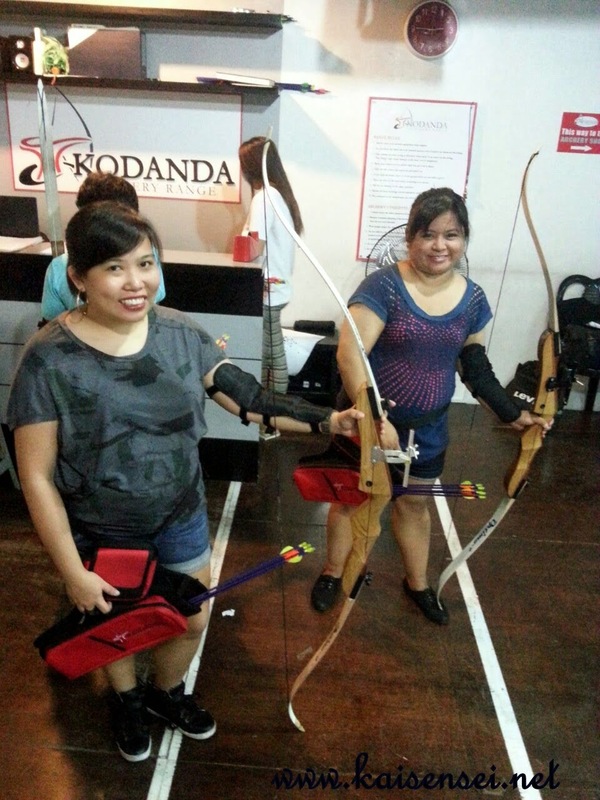 Kasama ko si shopgirljen during my Kodanda Archery Range Experience), and thrilled that I get to do what they did. 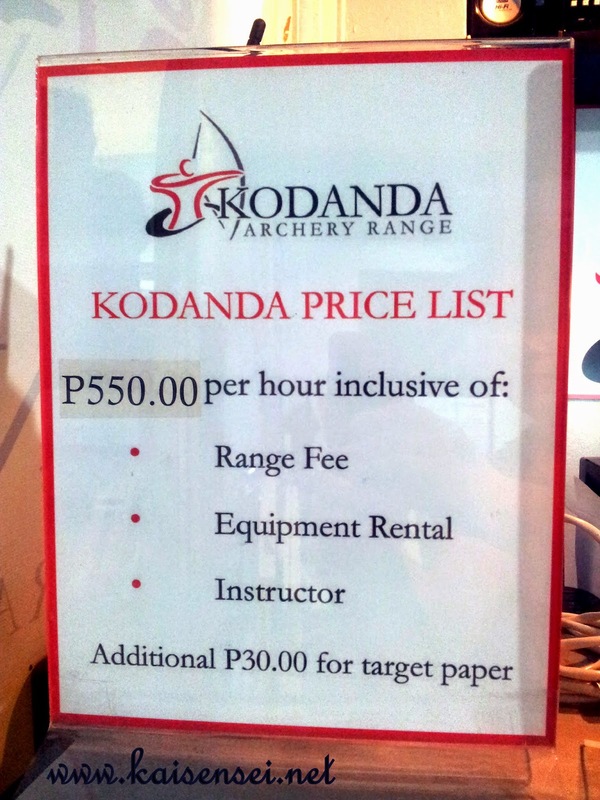 The Kodanda Archery Range is the only archery range that is fully air-conditioned (vs open air) AND open to the public (vs club membership required) in Makati. They are also the most affordable given that our hourly fee already includes range rental, use of international-standard equipment and protective gear, and coaching on archery basics from expert instructors. So despite me having no experience whatsoever, I was able to shoot the arrow and hit the target with a little coaching with the on site instructors. So here are the things you need to know before you go shooting some arrows. When I went there, I had no idea what the proper attire should be so its best that you come prepared. 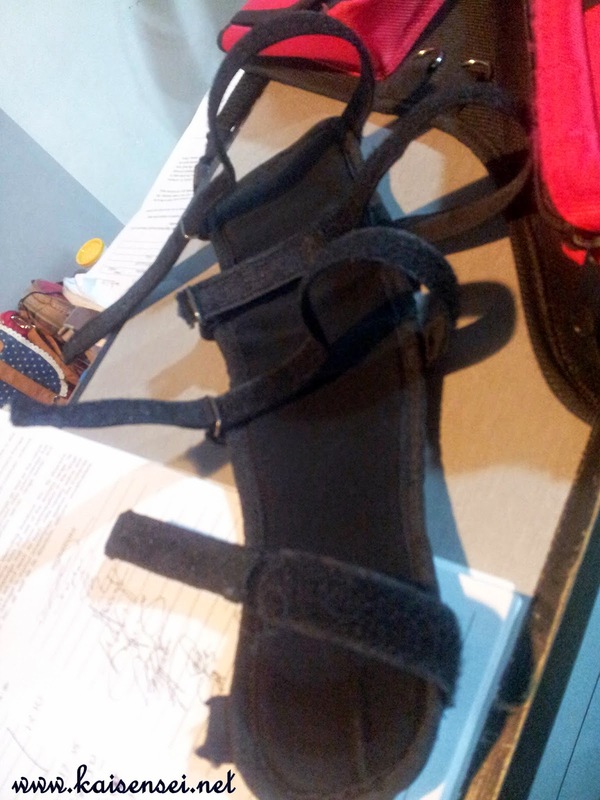 □ Armguard - protection for the arm against the string’s backlash. □ Fingertab - protection for the fingers’ repeated pulling of string. 1. Always treat your archery equipment with respect. 2. Do not draw and point the bow towards anyone even when there’s no arrow on the string. 3. 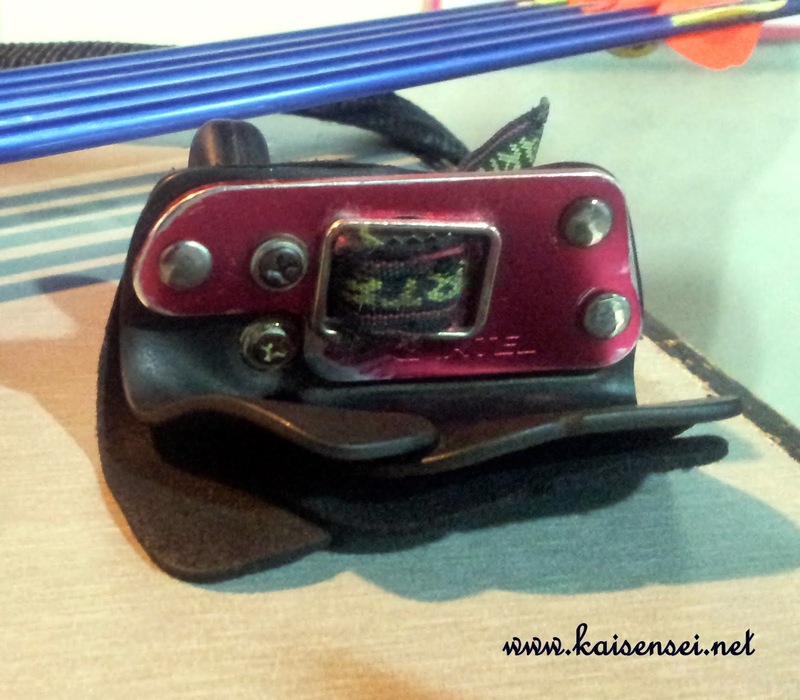 Only release the bow string at full draw when there is an arrow on the string. “Dry Firing” may cause damage to the bow, and is dangerous. 4. Keep your arrows in your quiver until you are told to shoot. 5. Only use the arrows the instructor provided you. 6. If you drop your arrow, leave it on the ground until you are told to get it. 7. 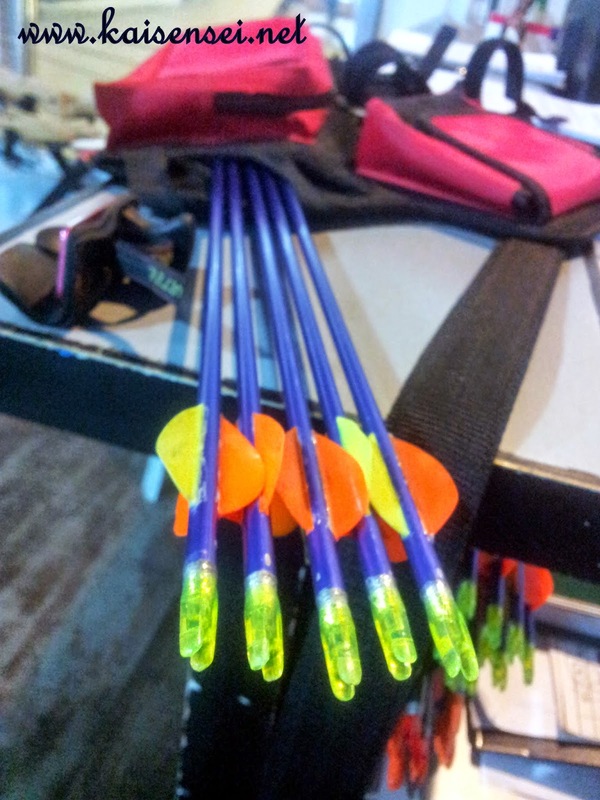 Place the bow on the rack before retrieving your arrows. 8. Strictly no running in the range premises. 9. Secure all loose clothing; remove bracelets, necklaces, etc. Tie hair back (for ladies). 10. Pay attention to the instructions and advice of the range instructors. 1. Always keep the safety measures in mind. 2. Respect everyone shooting with arrows. In archery, all archers are fellows; they are not your enemies. 3. Wear proper attire. No slippers allowed. 4. Do not talk in a loud voice while others are shooting. Do not talk to another archer who prefers to be silent. Do not disturb people with loud mobile phone ringtones or speaking on the phone. 5. Do not offer advice unless asked. 6. Do not touch another archer’s equipment without their permission. Me and Jen in our archery gear.. ready to do some shooting! Now that you know all that stuff plus you're all geared up, it's time to let those arrows fly and hit the mark! 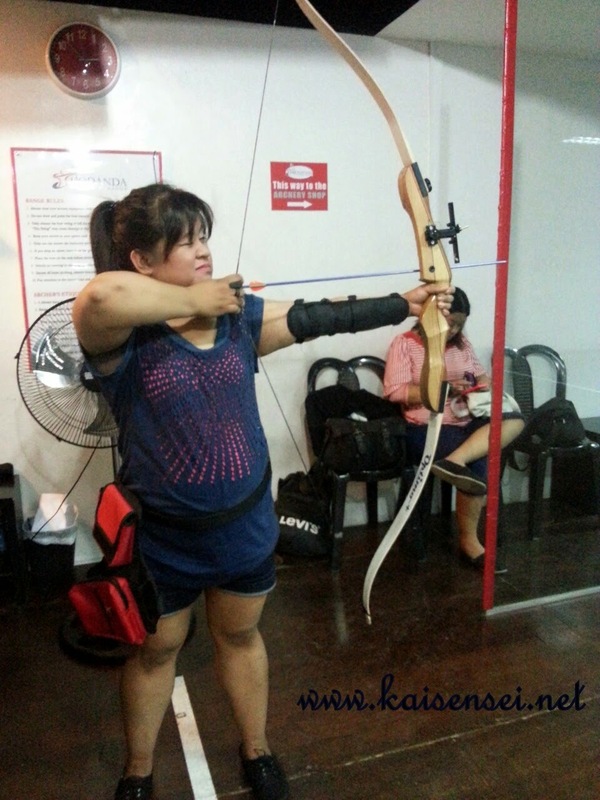 In the beginning, the instructor will teach you how to draw the bow, place the arrow, and how to hit the target. 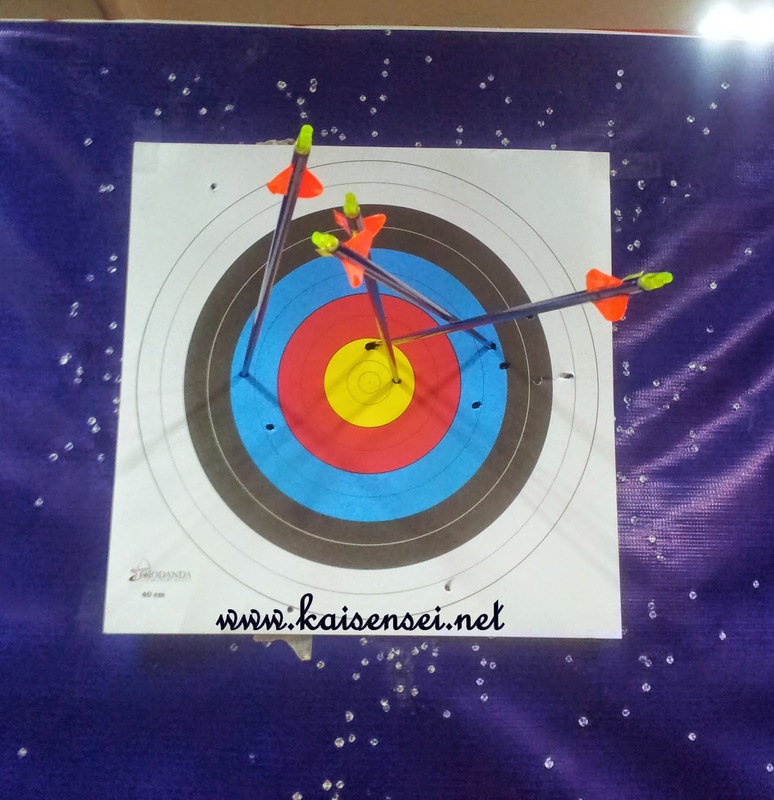 They also set up the target to "beginner's level" (translation waaaaay nearer to you.. haha 5 meters ata?) so that it will be easier. In the beginning, I fumbled a bit. In fact there were times when I released my arrow it "dropped" on the floor.. haha. I think I placed it wrong on the bow. But once you get the hang of it, you'll be able to start hitting the target. My feeling Katniss pose at the Kodanda Archery Range. I wanted to be good. I wanted to hit the target. I got so psyched for this. Since I was playing next to Jen, we got into kind of a competitive mode to see who was able to hit the yellow center the most. wahaha.. ang hirap pala! It looks easy but I tell you.. its not! Especially when you start pulling the bow, you can't pull it and take your time in aiming and shooting it coz your hands will start to become wobbly and you end up with a totally missed target. 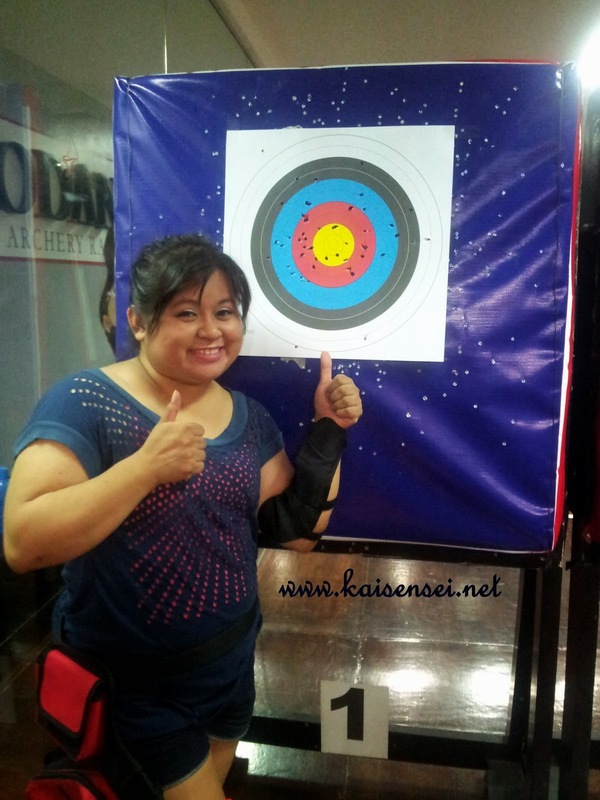 Kailangan confident ka na agad before you draw the bow, take a quick aim (with one eye closed! ), and release the arrow! Haha.. so there's some of my "better" shots. I was able to hit the yellow circle several times. Inside the yellow target area, there are three circles pa. I was only able to hit the second inner circle like 4-5 times. Tie kami ni Jen. haha. It was definitely a fun hour. We were able to do several rounds in that hour. Coz actually, you are only given 5 arrows. Then you need to retrieve the arrows from your target board and place it in your arrow holder and then start shooting again. If it's your first time, don't worry they have very good instructors and assistants at the Kodanda Archery Range. So if you want to try out a new sport, have a Katniss session, or practice your eye & hand coordination skills, why not try to do archery at the Kodanda Archery Range. I promise you, it's such a unique experience. In fact, it would be more fun if you could go with a bunch of friends so that you can have a fun competition there! 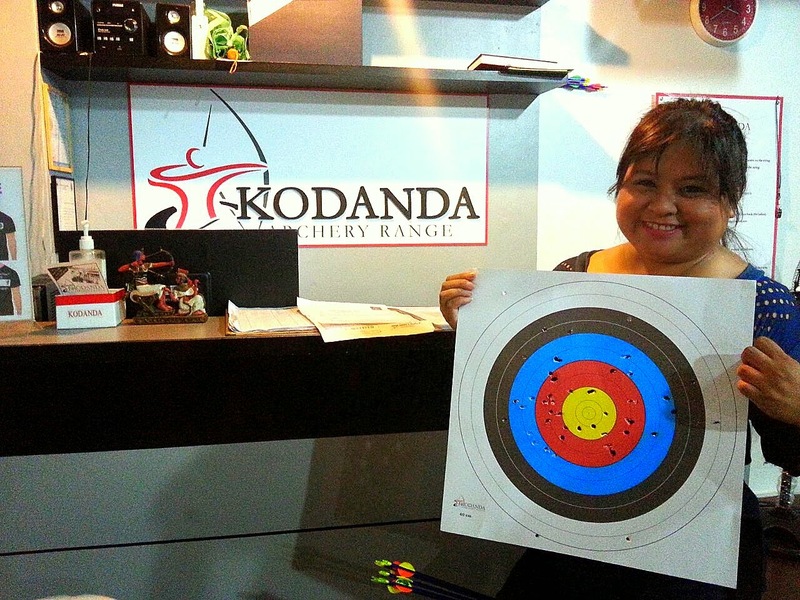 In fact, Kodanda Archery Range now holds Fun Shoot Competition almost every month to cater to their growing regular clientele as well as interested archers. They will soon offer summer classes on Basic Archery. □ Add’l Php30.00 for the target paper clients can take home as a souvenir. Groups of up to 15 guests may avail of Group Packages that includes rental of international-standard equipment and protective gear, and coaching on archery basics from expert instructors. It may also include parlor games and/or coaching sessions depending on the intention of the group. Rates also vary depending on the exact number of guests and duration of stay in the range. They also have an archery shop where you can buy all equipment and accessories necessary in the sport of archery. From compound bows to quiver bags to novelty shirts, it’s a one stop shop for everything archery. Reservations and further inquiries can be made through contact numbers (02)621.9109 and (0932)843.6614, look for May. 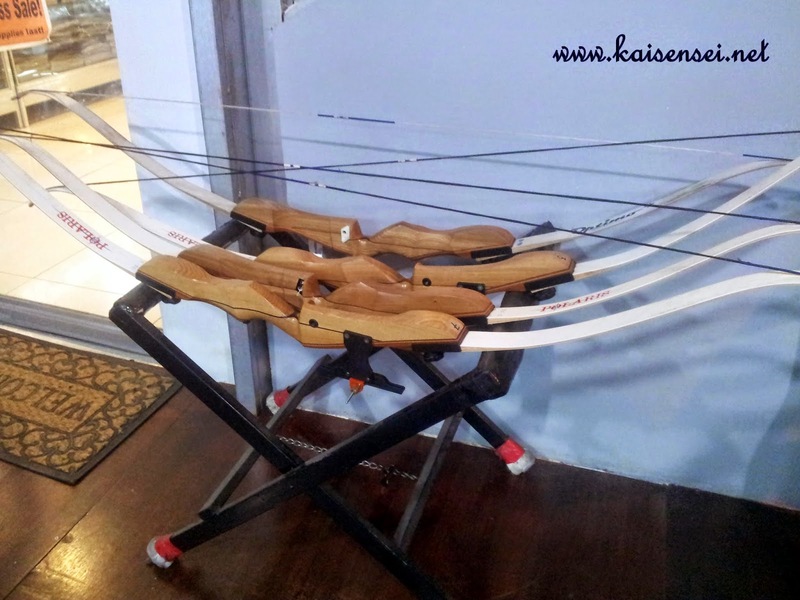 Their email address is kodandaarchery@gmail.com. 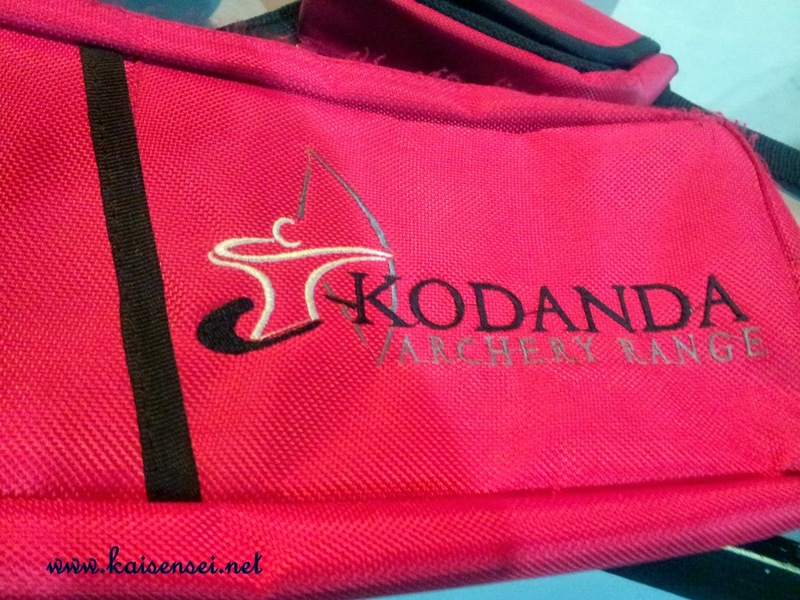 You may also check their Facebook page: Kodanda Archery Range. So Coffeeholics, it's weekend na. 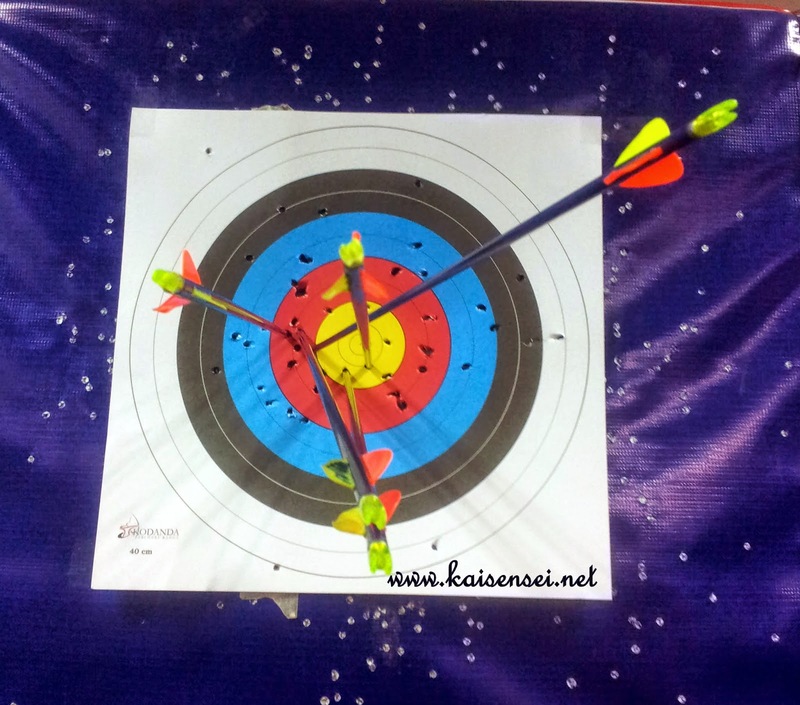 Try a new experience and shoot some arrows at the Kodanda Archery Range. :) I had loads of fun there -- thanks to Kodanda Archery Range. Kayo din? :) Have a great weekend! mwah mwah! Awesome!! 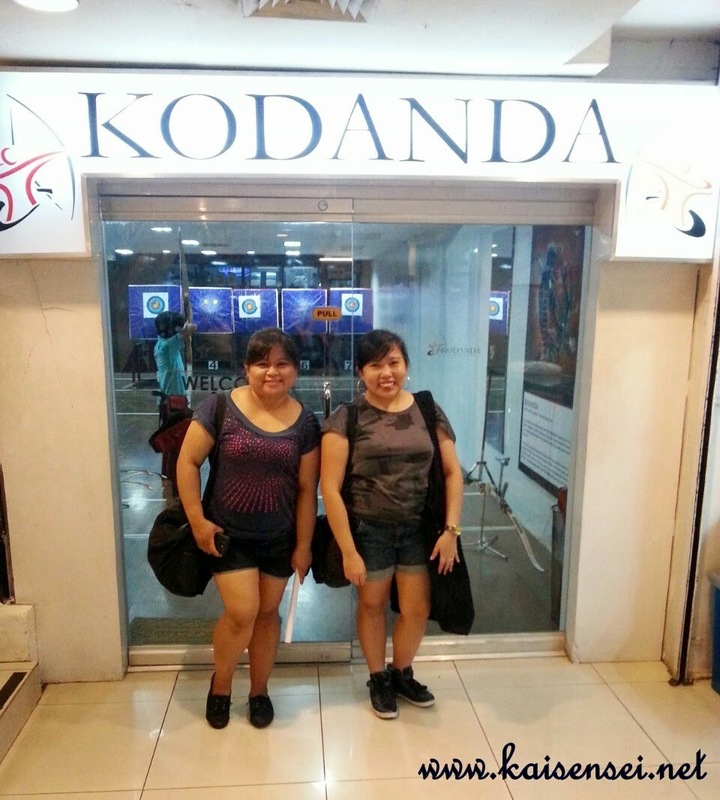 You and momma jen tried Kodanda! :D I tried that last year and it made me feel like Katniss haha! :D Hunger games! It was awesome to see you there! 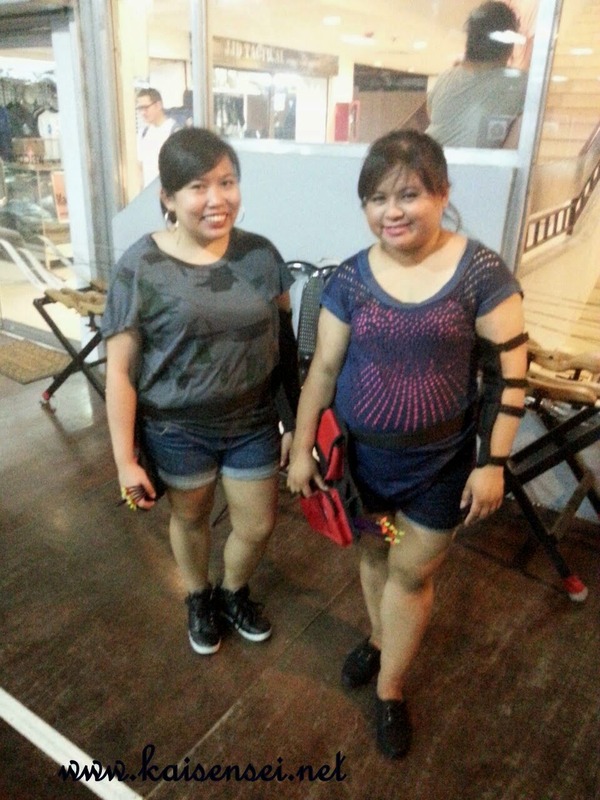 I had fun with my session too and planning to enroll for the real lessons Hehe :) I love the outfit-ey!